This part of the process was actually fairly easy. I enjoyed not having to do a bunch of sanding and foam gouging for a few days! Time to start the aileron mechanicals. 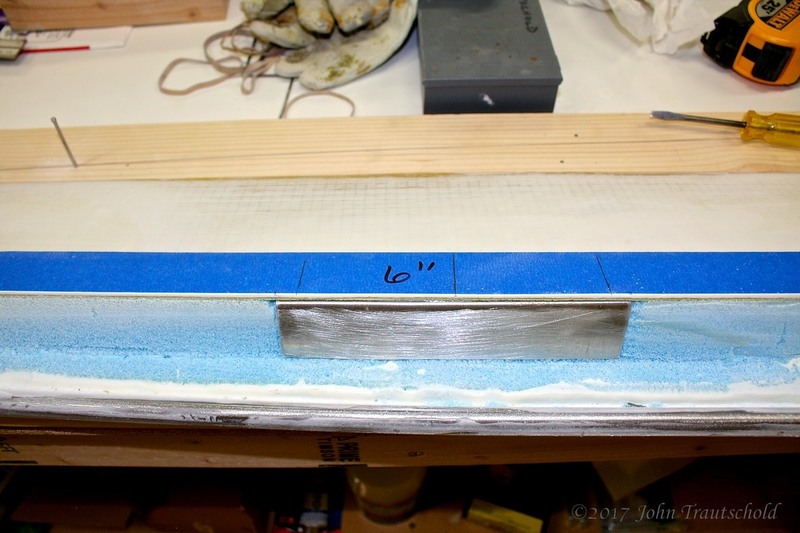 The first step is to install the short torque tube in the aileron itself. This eventually gets attached to the long torque tube that runs through the wing. 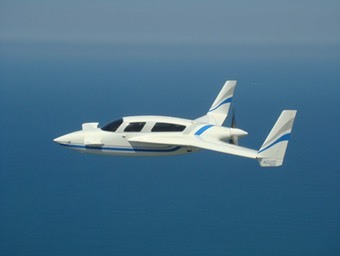 The short torque tube gets embedded in the aileron. 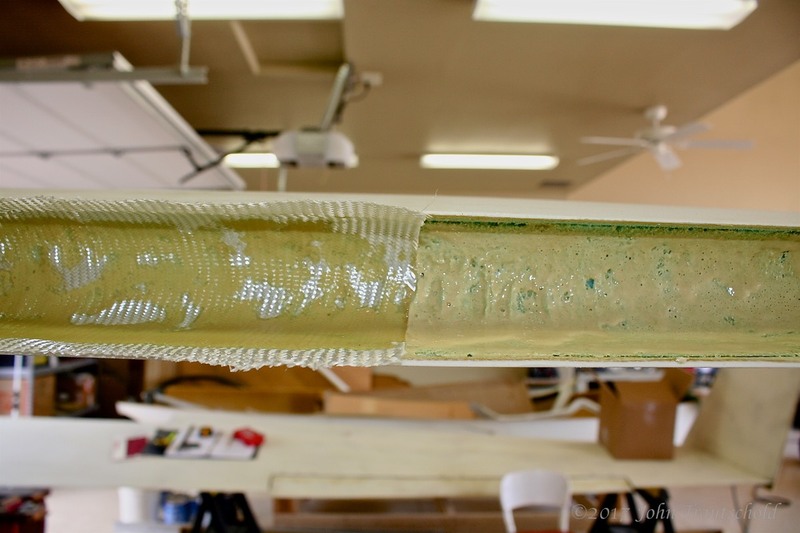 It is epoxied in place and eventually covered with fiberglass. Note that I predrilled a hole in the tube. I’ll discuss why later. More foam needs digging out to make way for the torque tube. Here's a closeup of the torque tube installed in the aileron. The dark brown tube is used to couple the two torque tubes together. And here’s why we predrilled the torque tubes. The manual talks about drilling these holes later, but that’s really difficult to do once everything is attached to the aileron. I can get those holes drilled very accurately using my drill press which I can’t do with a hand-held drill. 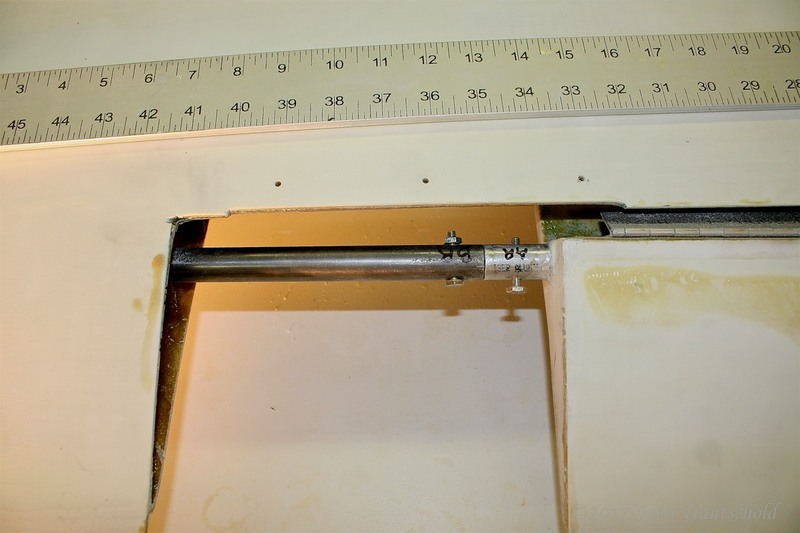 The photo below shows the test fit for the torque tubes and the coupler. 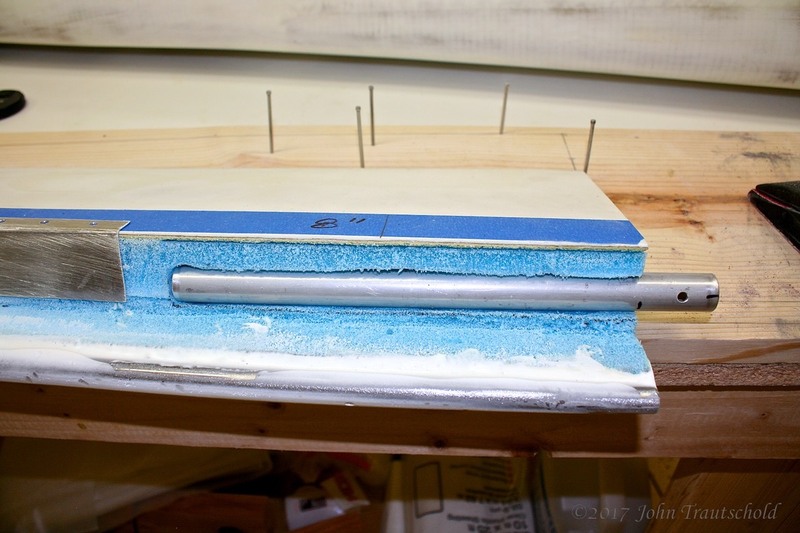 This is a test fit between the embedded torque tube in the aileron and the tube that passes through the wing. Hinge plate installation is next. These plates also get embedded in the layup and one of them actually covers the embedded torque tube. 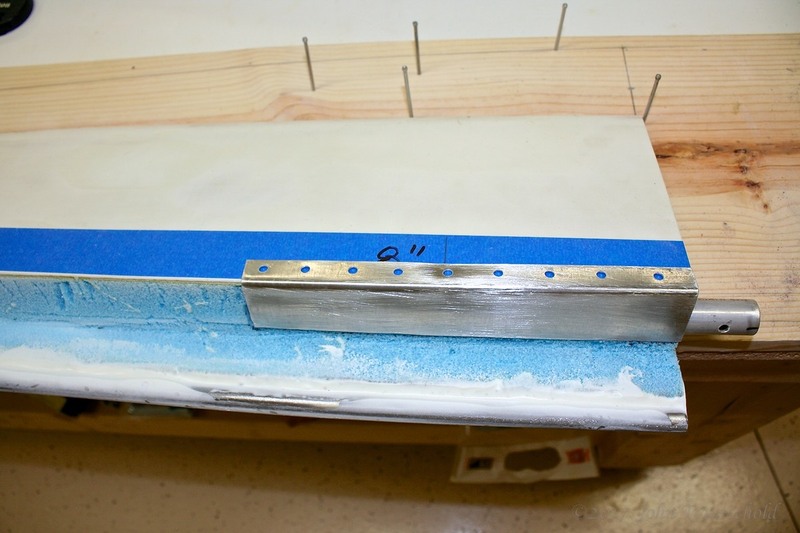 Three hinge plates need to be installed to provide backing for attaching the aileron hinges. This one also covers up the torque tube. A small amount of foam needs to be removed in order to keep the hinge plate flat with the rest of foam. Once the hinge plates and torque tube are installed, it’s time to do a glass layup over the entire assembly. 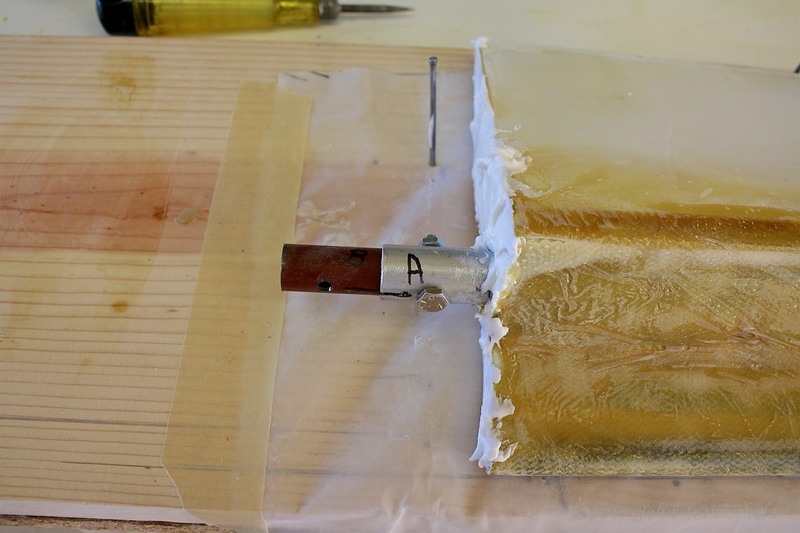 The hinge plates need to be covered with fiberglass and epoxy and here you see the completed effort! Here's a view of the entire right aileron following the layup. 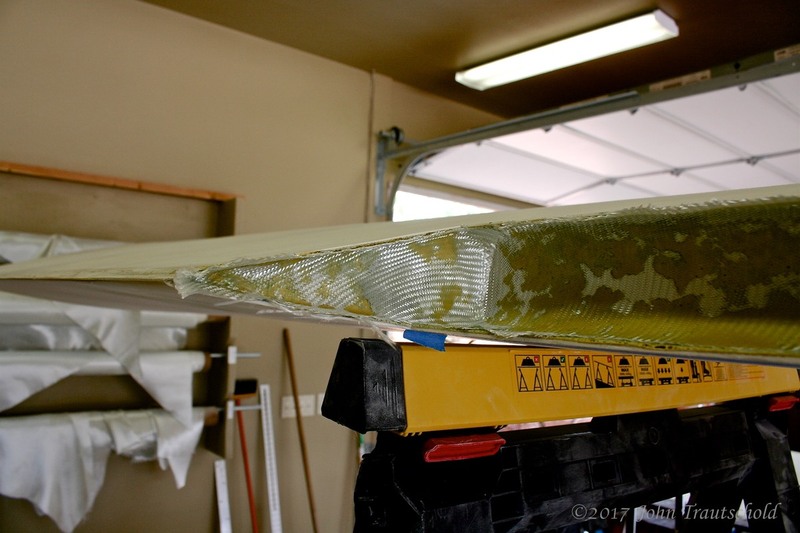 The aileron wells also need to be fiberglassed. The next couple of photos show that process for the left wing. The aileron well layup begins! 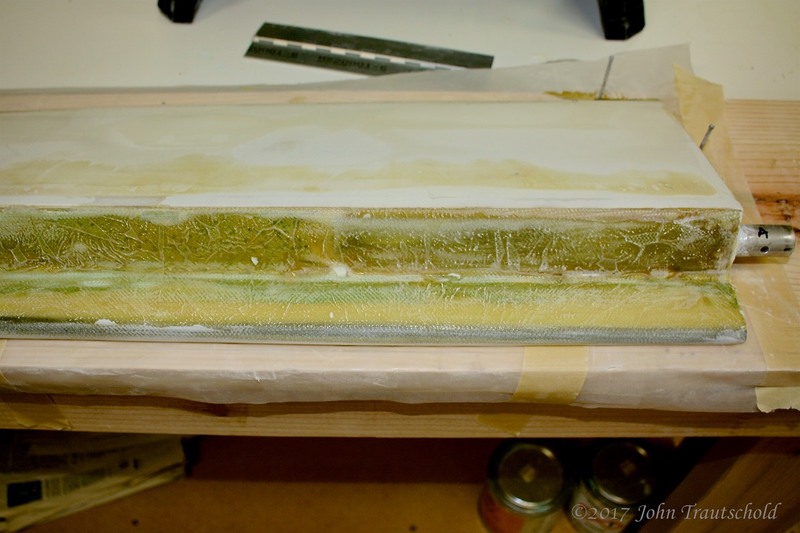 Here the first layer of glass is applied to the epoxy micro glass slurry. The next step in the process is attaching the hinges. Click here to move to that page!